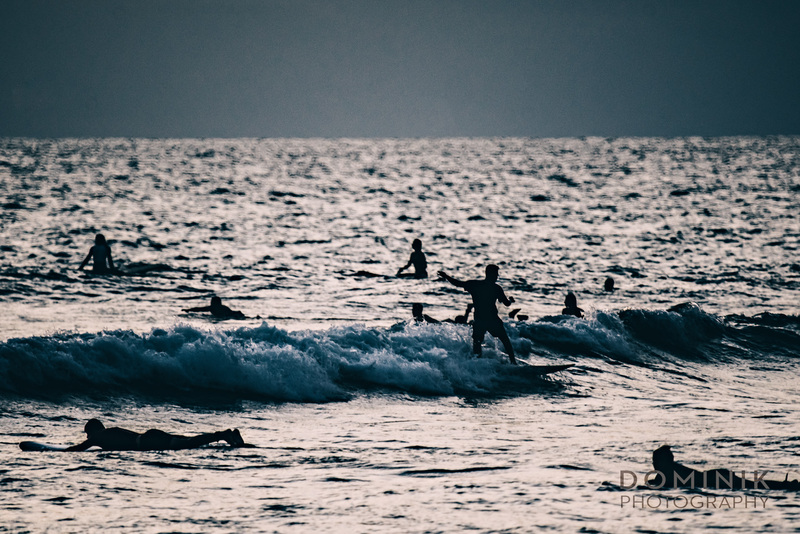 Anyone who has ever walked the shores of South Bali knows the prevalence of surfers and surfing here. 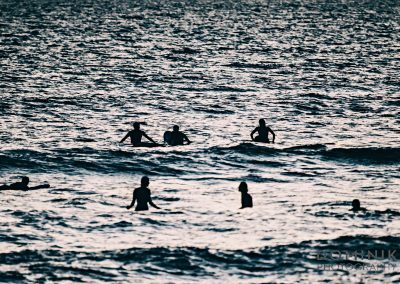 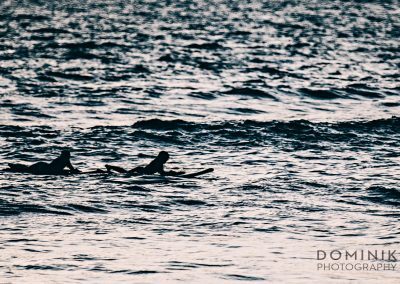 Having lived for over 20 years very close to this very surf action I felt tempted to give my personal photographic spin on Bali’s surf culture. 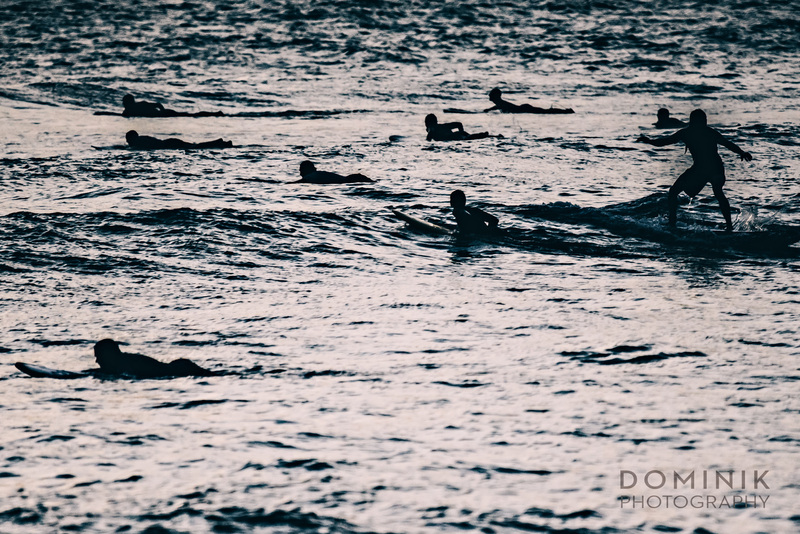 However, as you will see these are very different surf photographs. 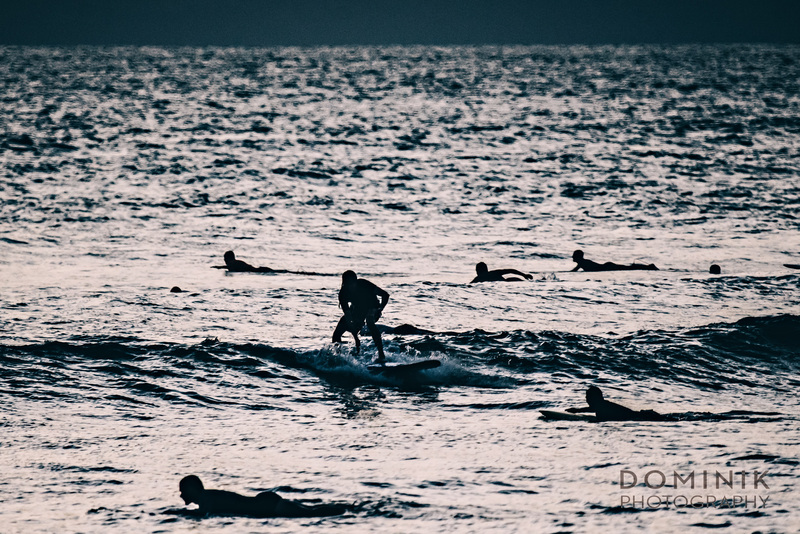 Not those spectacular colorful images of surf-heroes battling humongous waves. 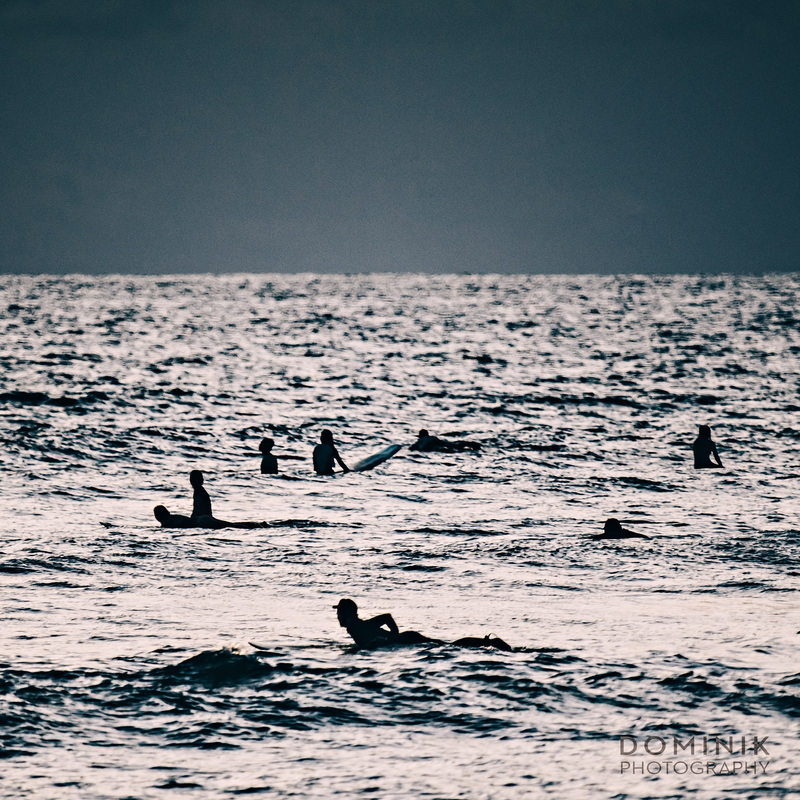 Not images of testosterone-laden adrenalin junkies and their muscular bodies. 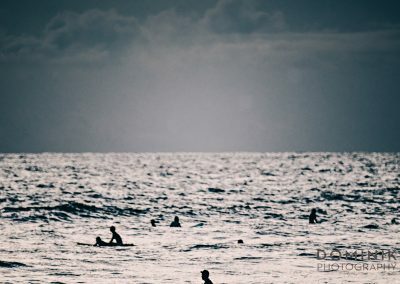 Many others have done that, and they are much better at creating such images than I ever would be. 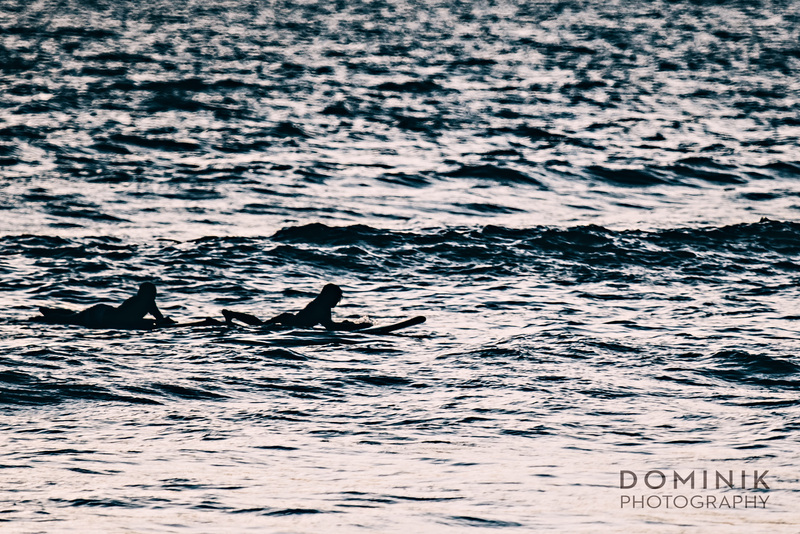 After all I am not a sports photographer and I have no intentions of ever becoming one ! 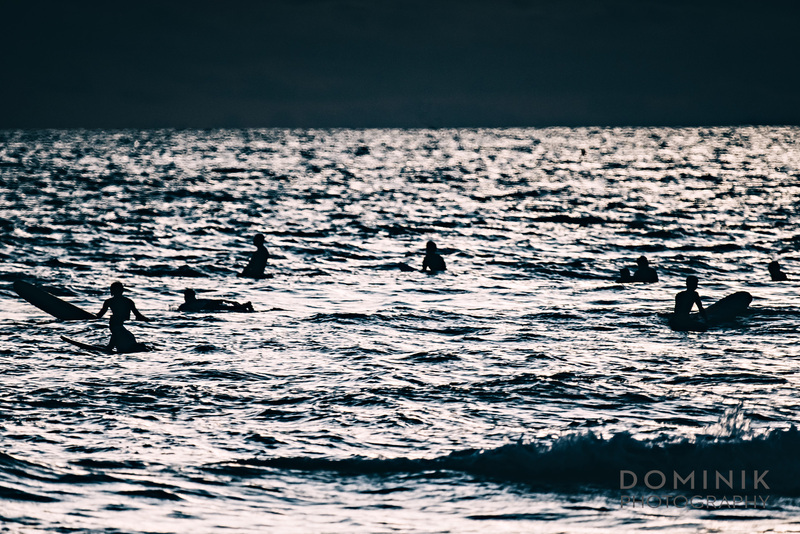 I rather wanted to create more quiet, meditative depictions of the activity of surfing. 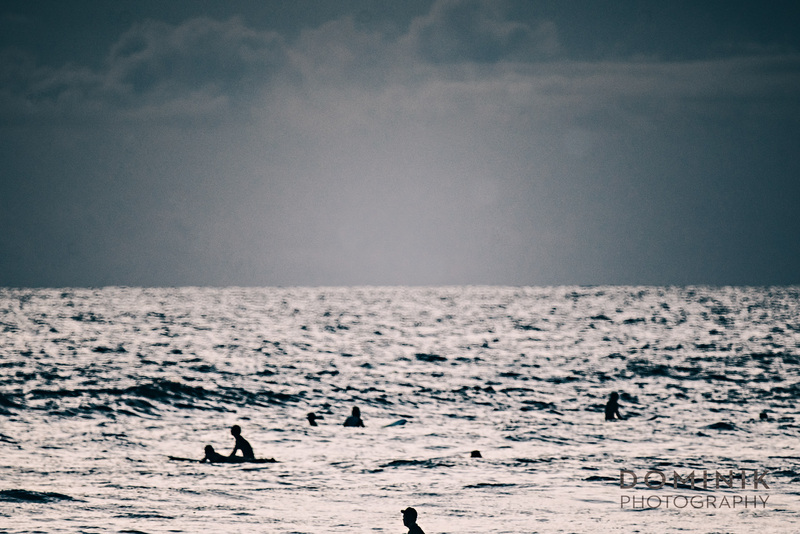 Whereby the surfers themselves become just objects and not the main subject of an image. 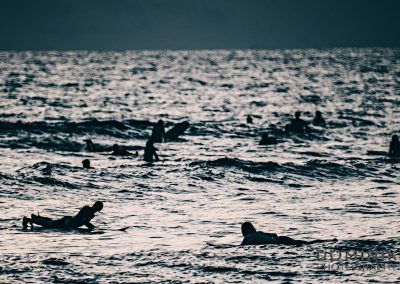 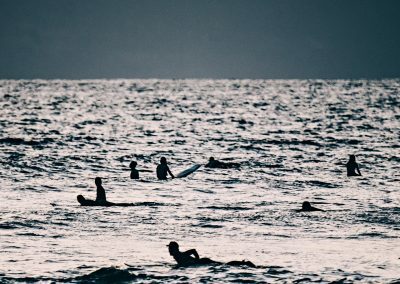 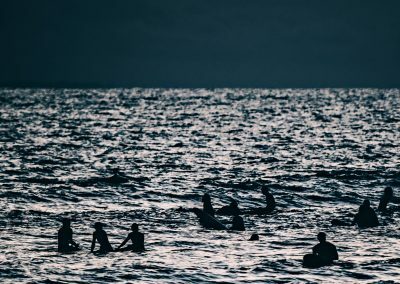 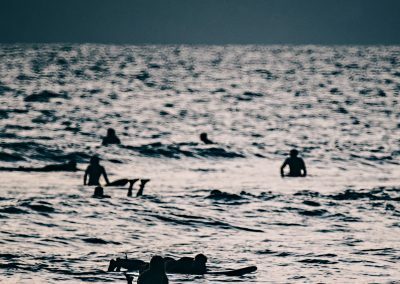 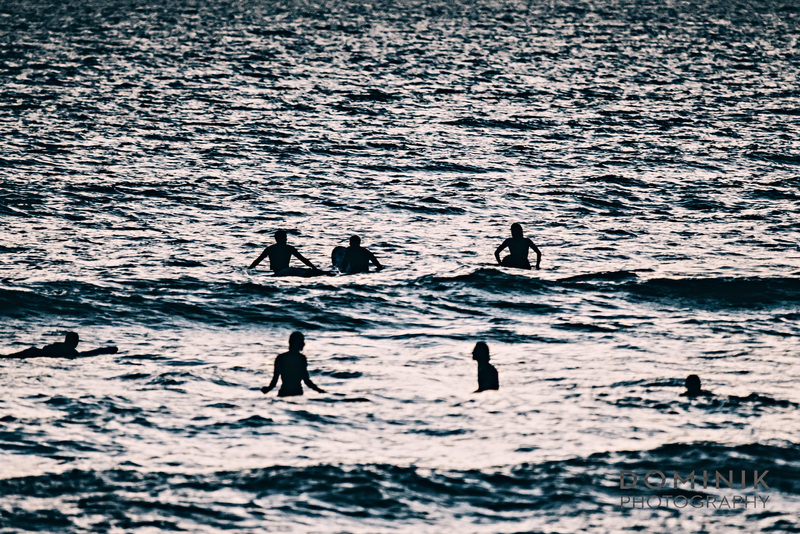 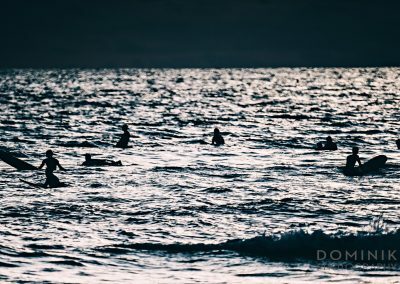 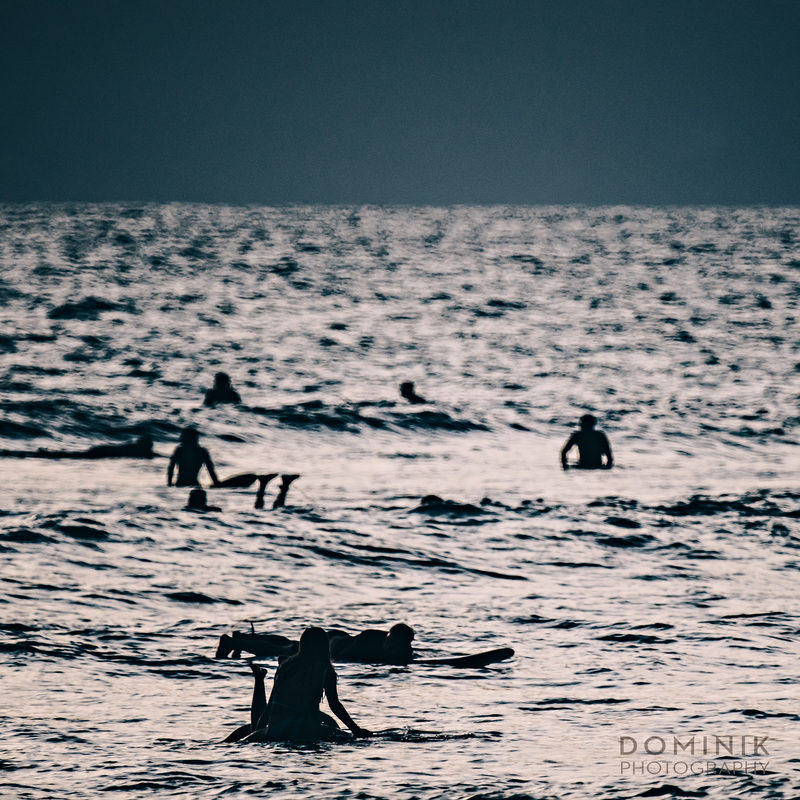 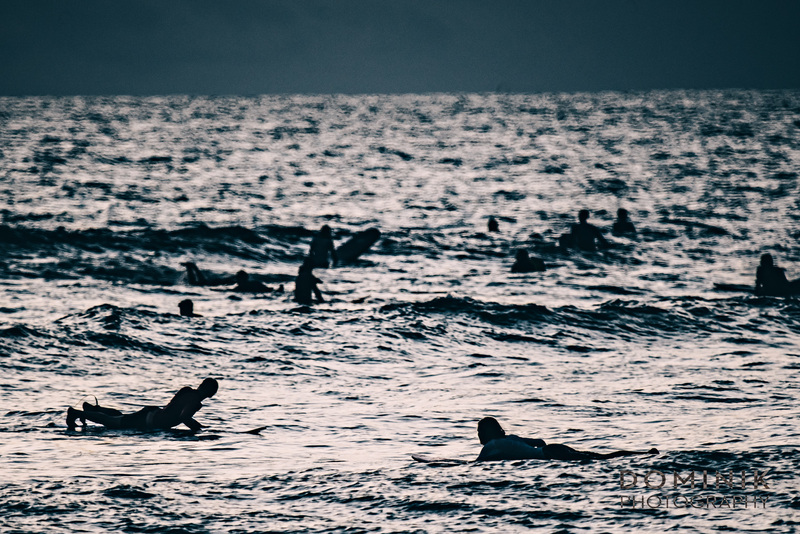 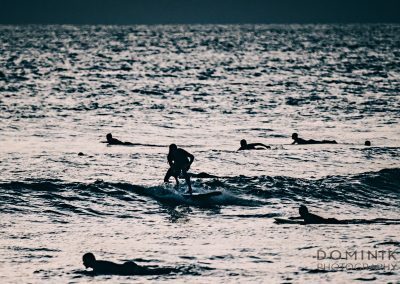 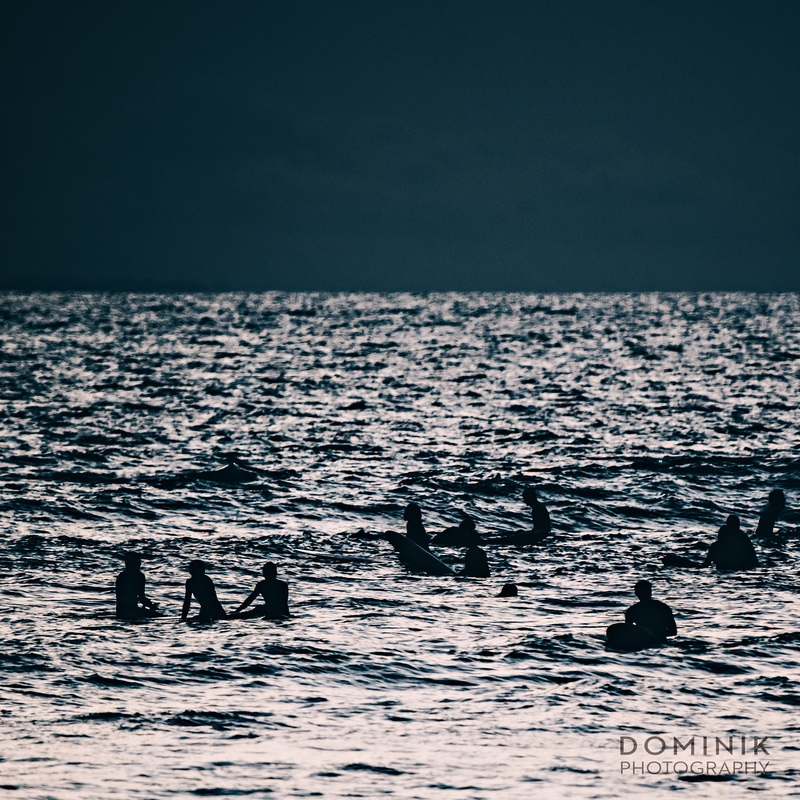 I was interested in the interplay of many anonymous surfers doing the different things that surfers do – from paddling out towards the waves, getting on to their boards, surfing, falling off their boards or simply waiting for the right wave. 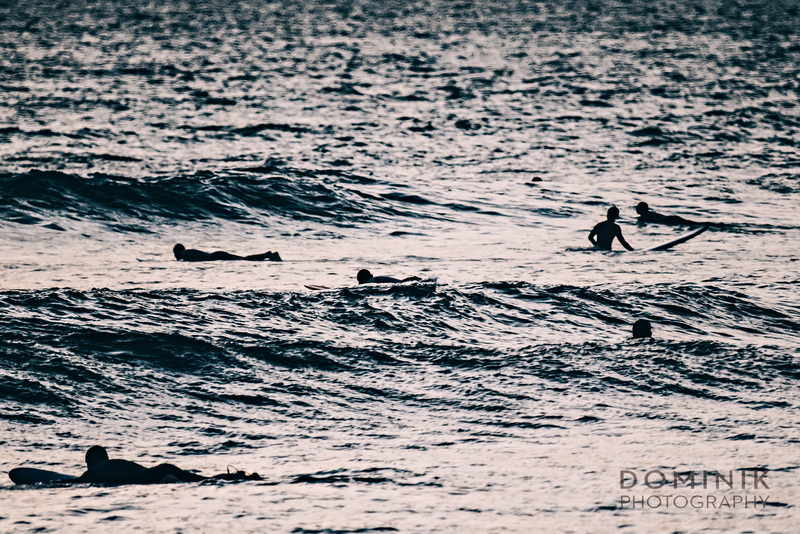 I wanted to compress all this at once into my images. 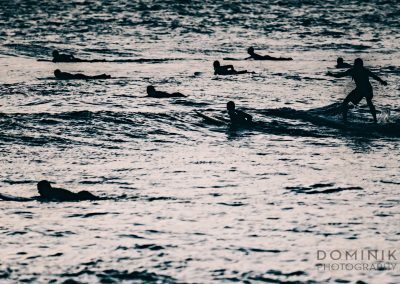 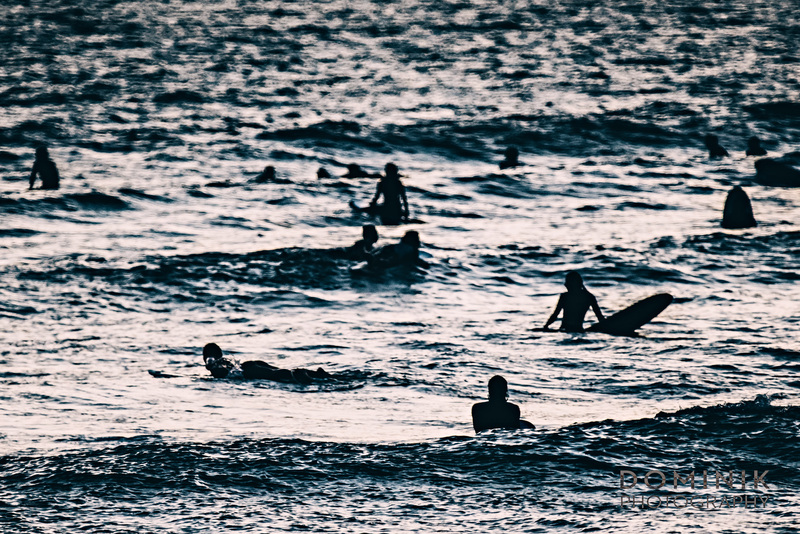 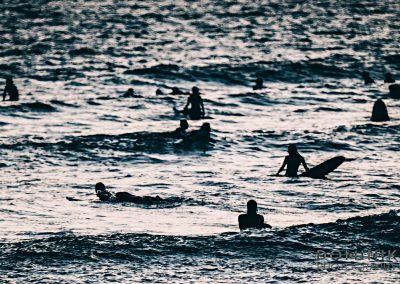 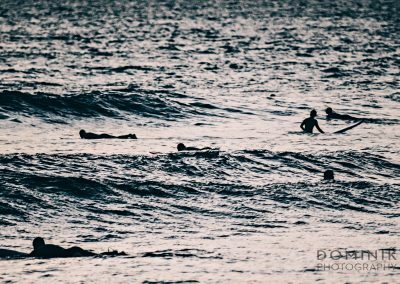 This series of ‘almost’ monochromes is a visual celebration and my personal tribute to Bali’s surf culture. 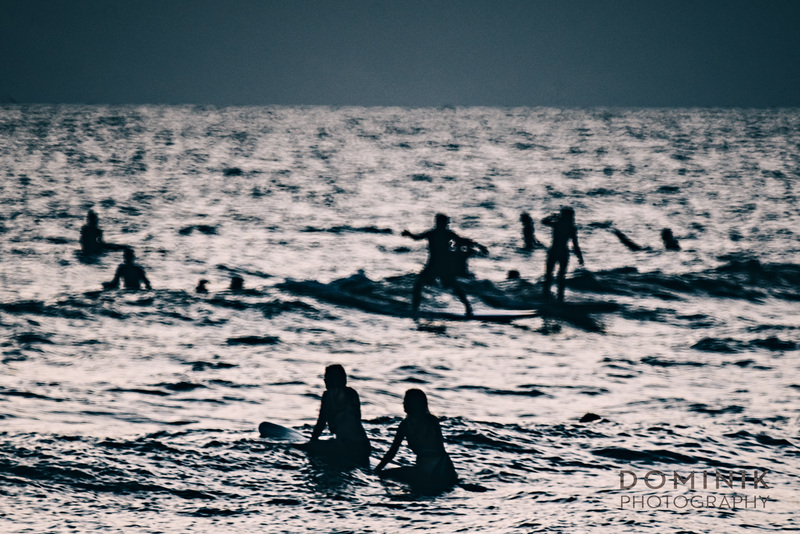 All those photographs were taken at sunset and with a super tele zoom mirror lens. 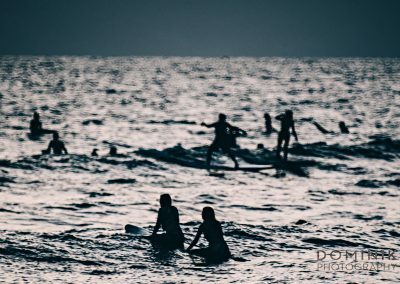 That particular lens, famous for its doughnut bokeh, has allowed me to create a rather unique perspective onto surfers and surfing.